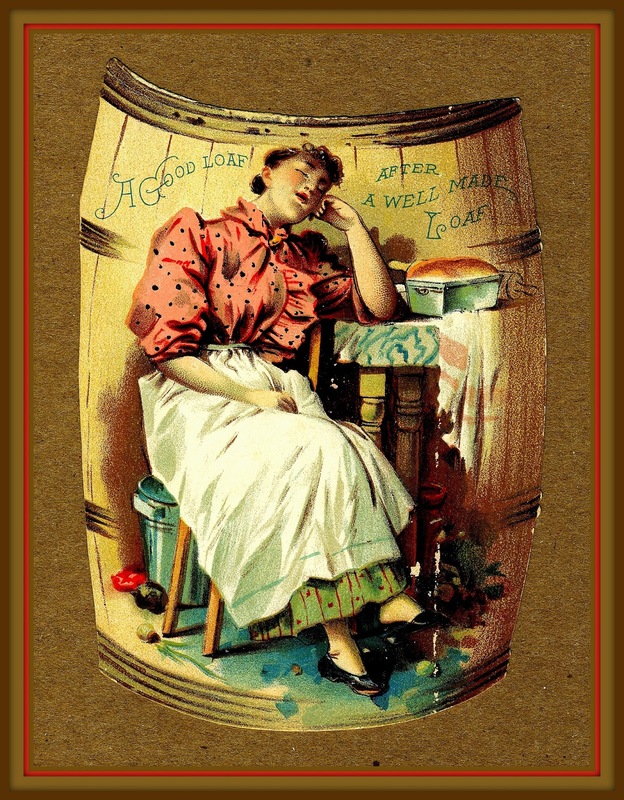 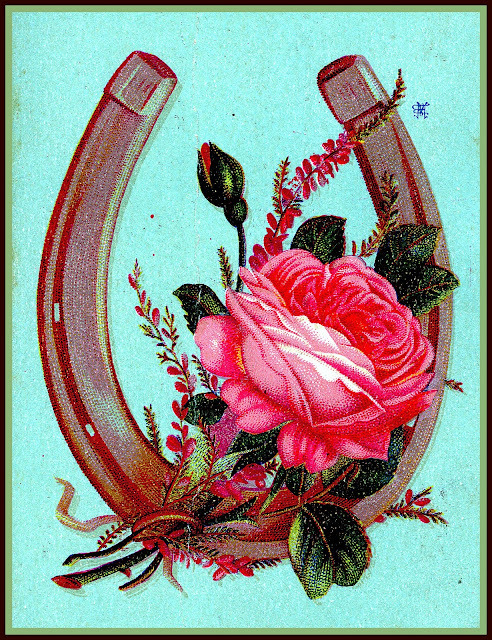 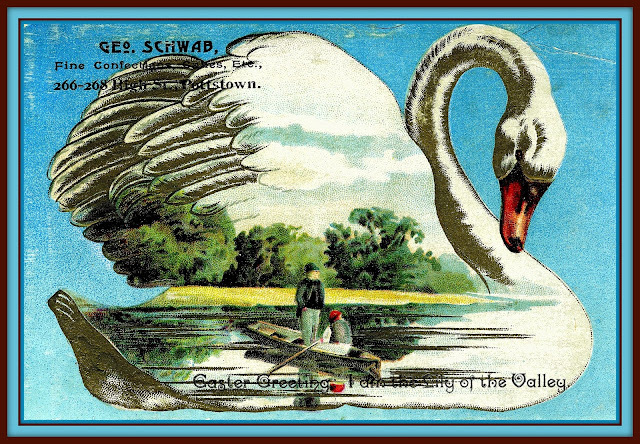 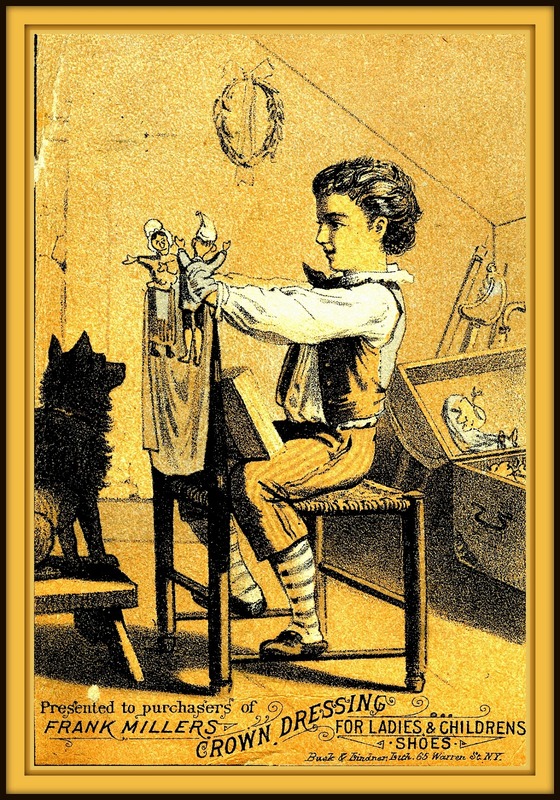 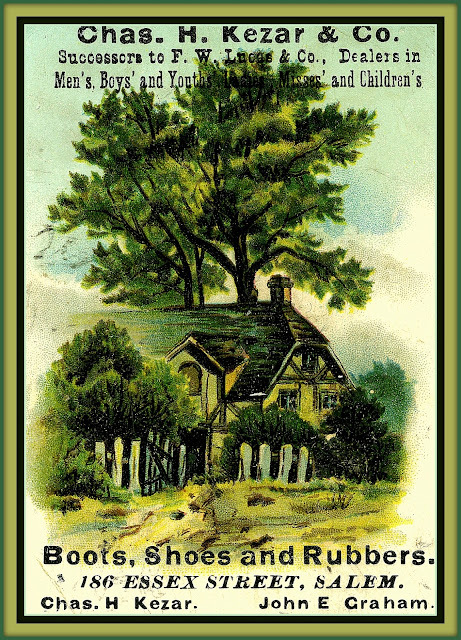 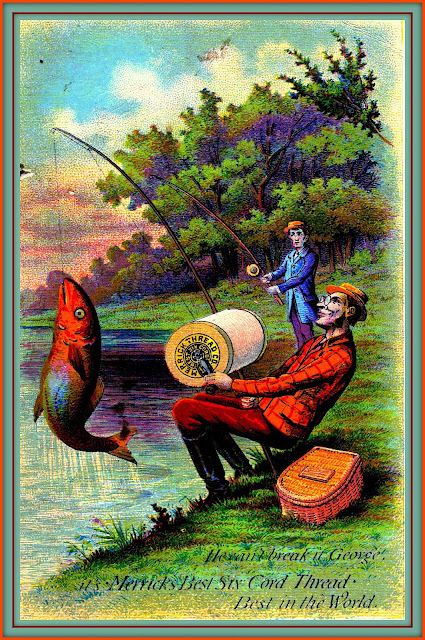 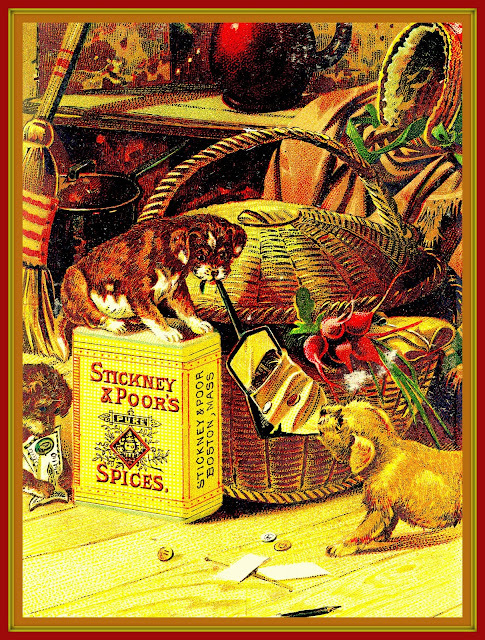 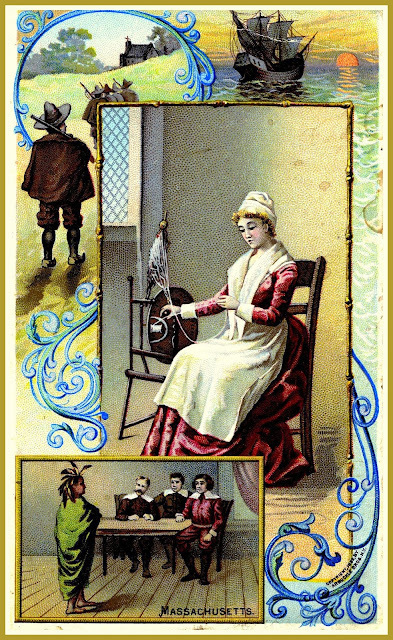 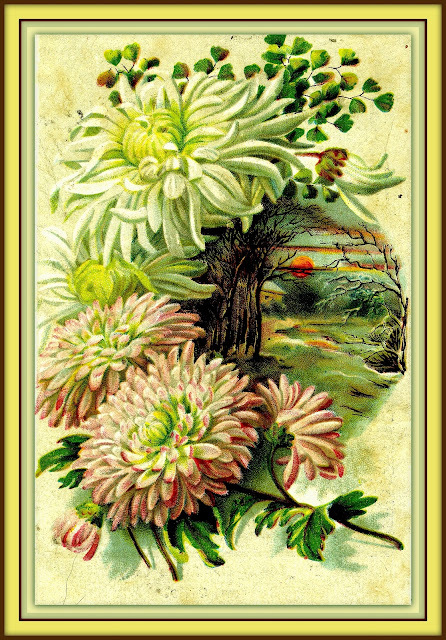 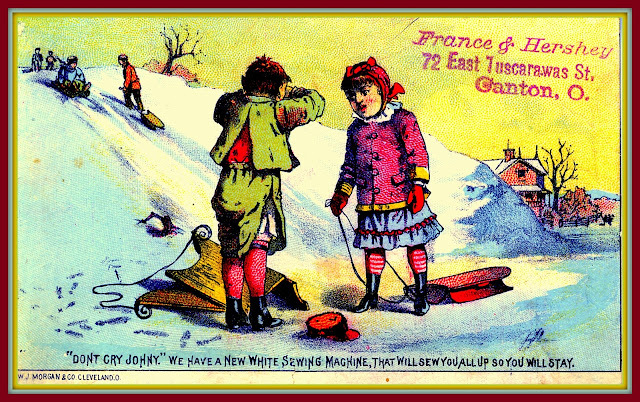 Here's an isolation from another trade card for Miller & Hutchinson that is in the public domain. 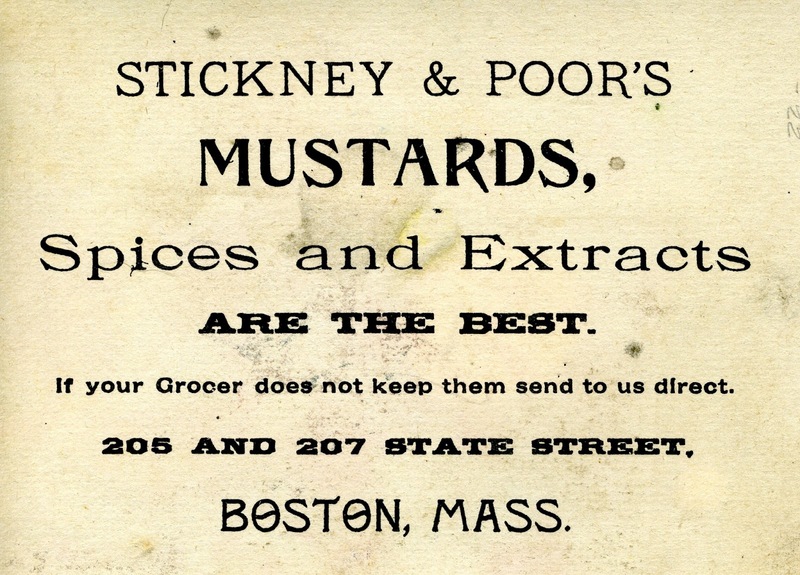 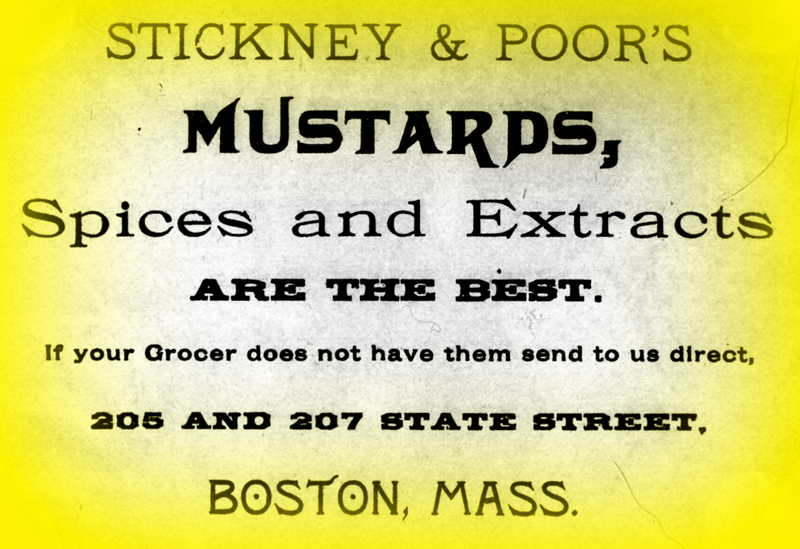 Apparently the store may have changed hands and moved nearby at least once. 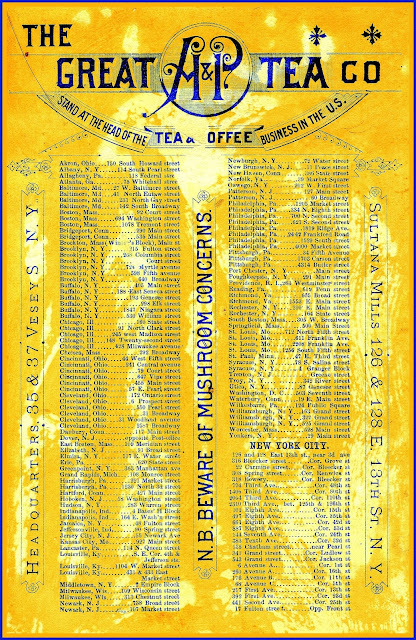 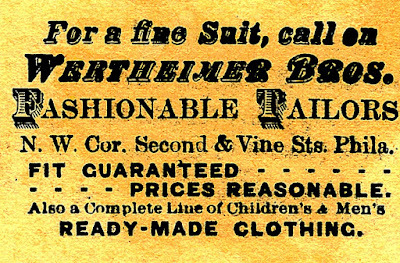 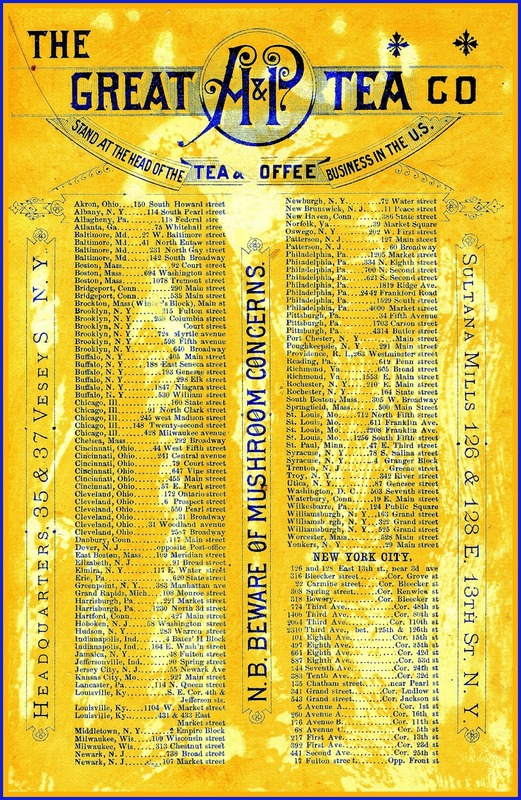 An 1889 calendar appeared on the back. 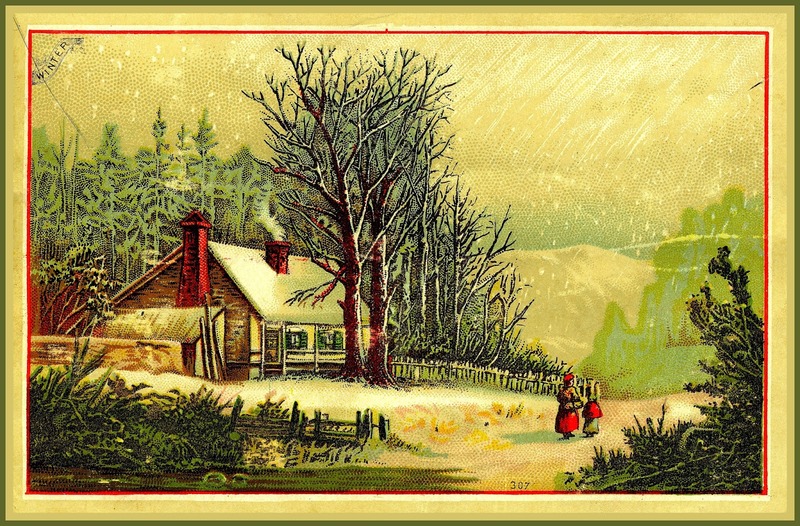 The next two cards had similar calendars. 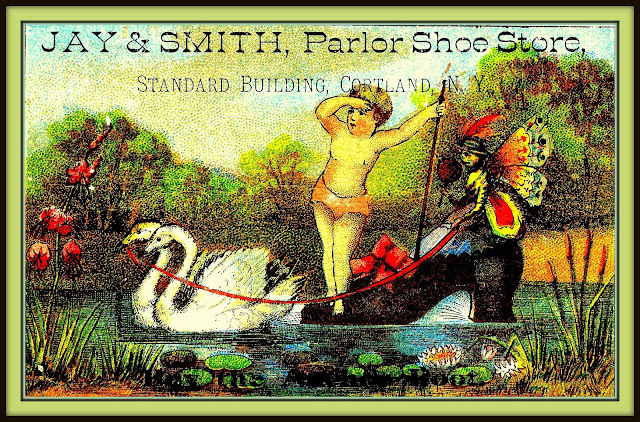 and Linen Store, 15 Merchants Row, Rutland VT"
A&P invites you in from the cold for a hot cup of coffee or tea! 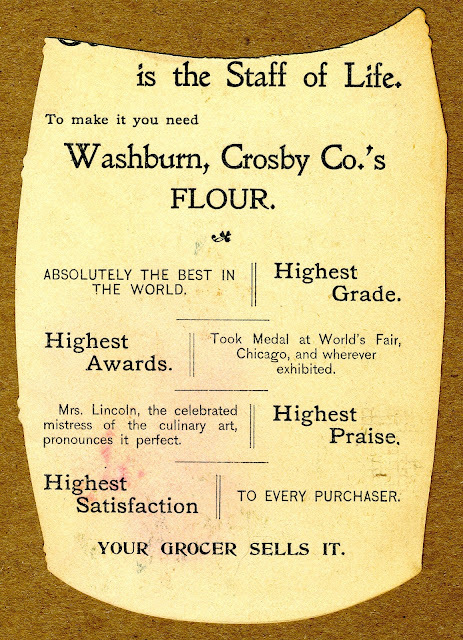 Back of the card above. 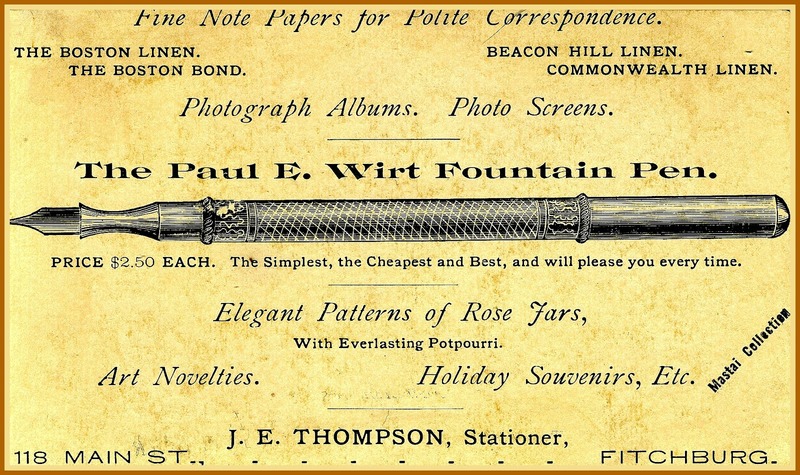 The Paul E. Wirt pen dominated the fountain pen market in the late 19th century. France & Hershey no longer exists. The entire block vanished. 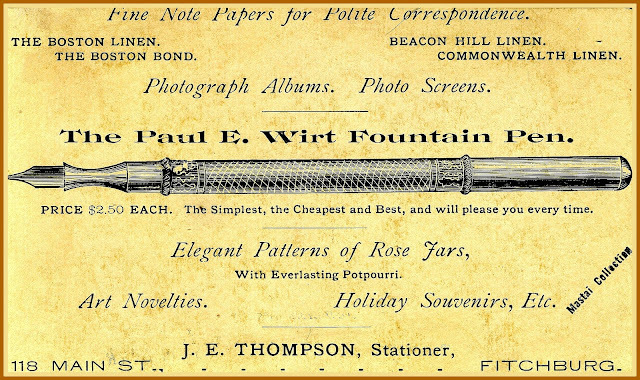 This post and another like it now guard the entrance to East Tuscarawas Street. This is a Google Street View derivation. 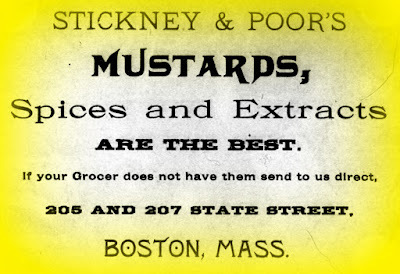 Click the link above for the original. 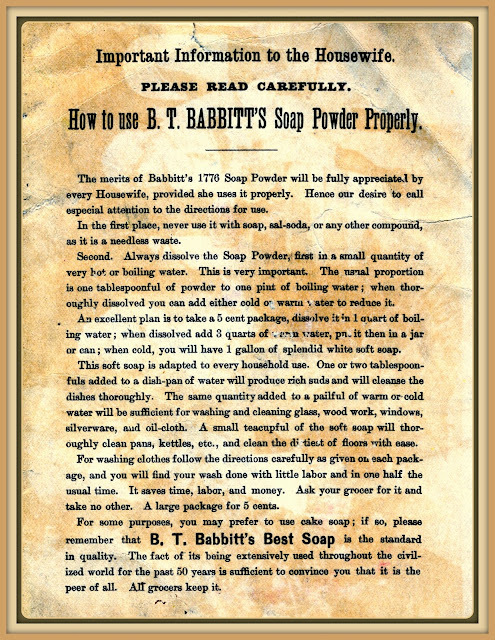 Benjamin T. Babbitt made a fortune selling soap. Wheelwright, machinist & file maker, he also invented one of the first mowing machines made in America and pursued an interest in chemistry. 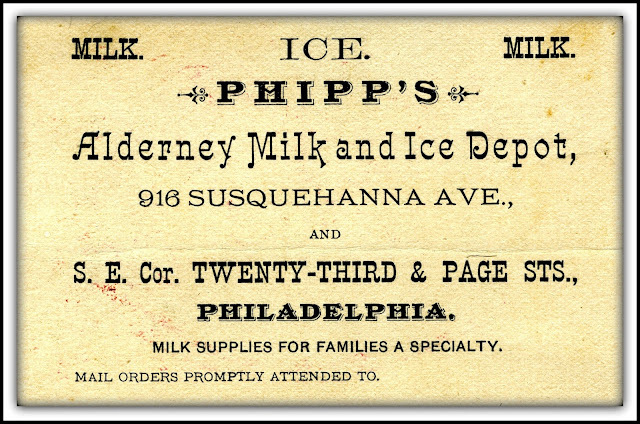 According to Wikipedia, "In 1851, he became the first to manufacture and market soap in individual bars, which he packaged attractively and added a claim of quality. He took the ordinary and proved it could be turned into a marketable product. He, along with others like him, helped change American merchandising." 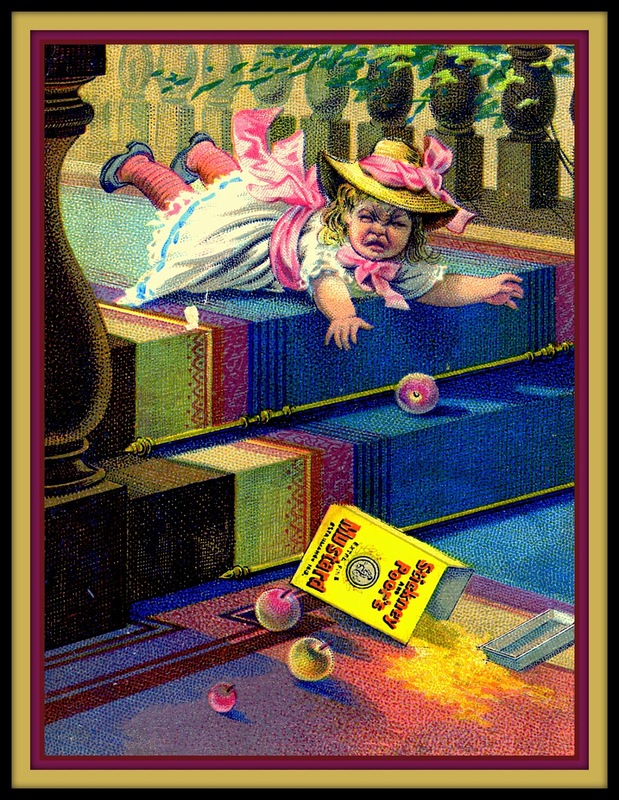 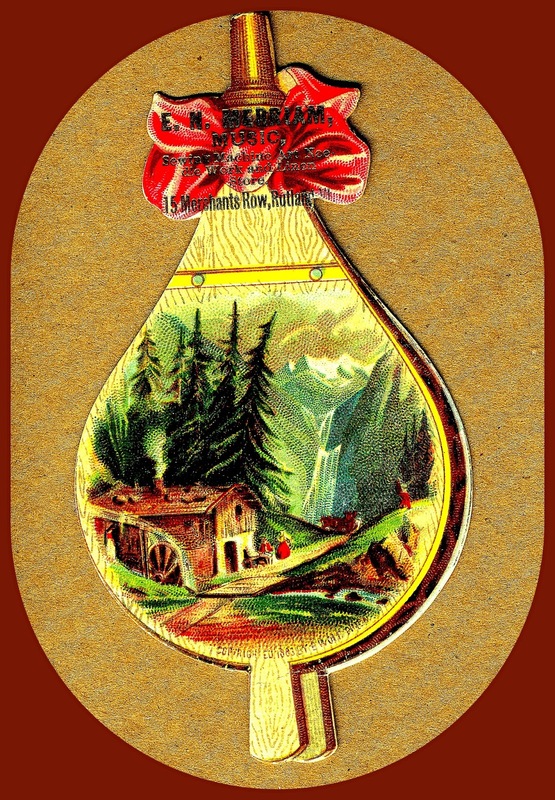 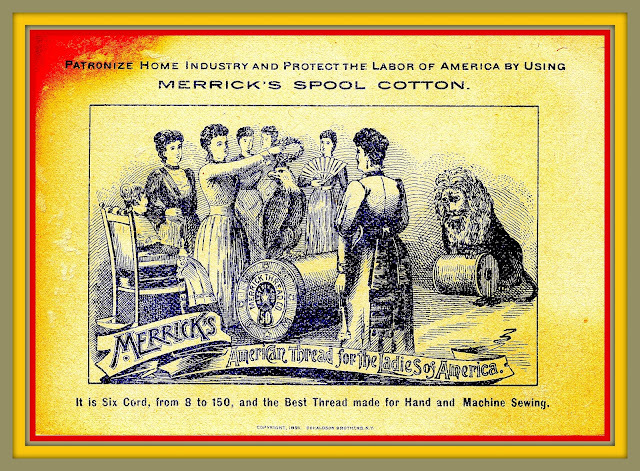 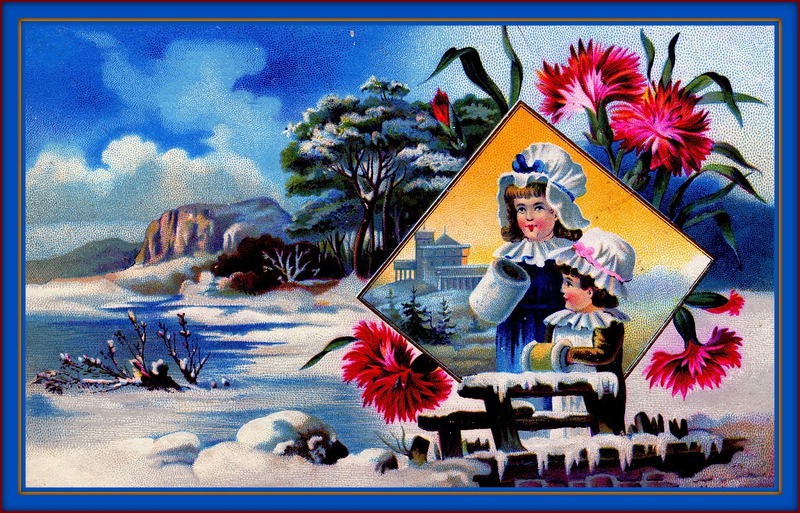 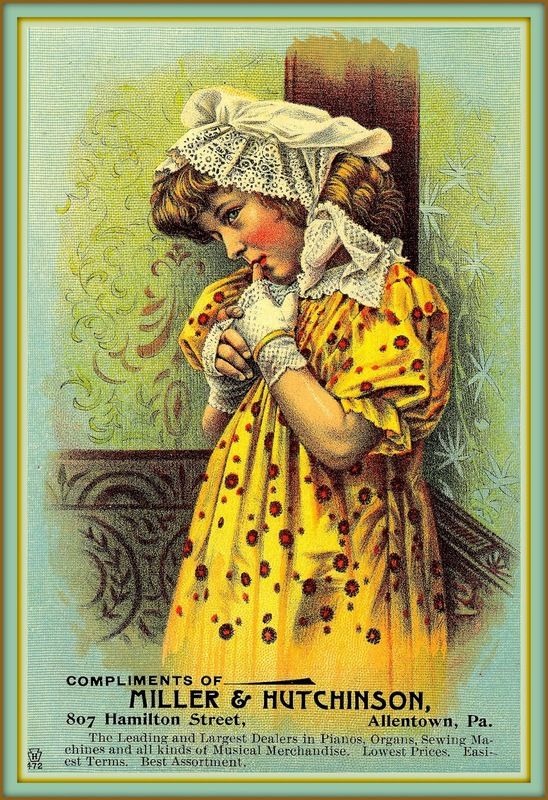 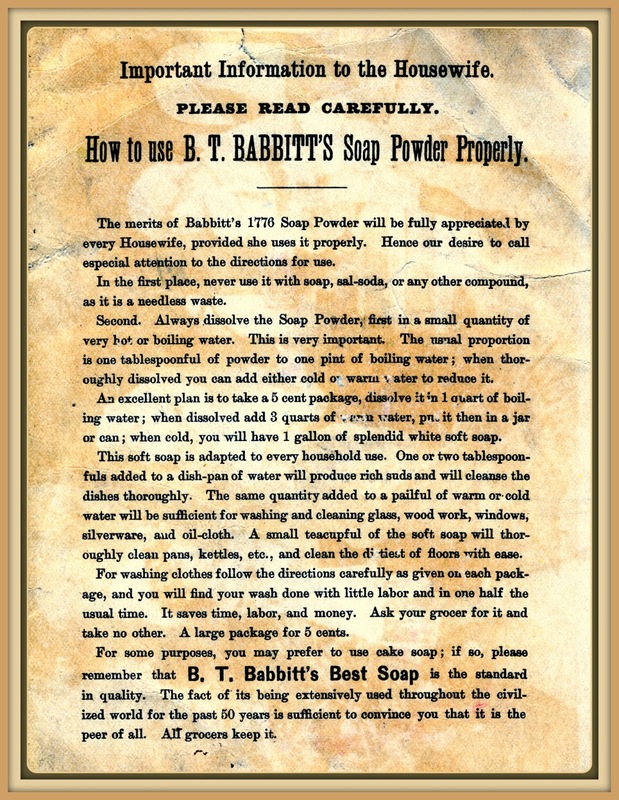 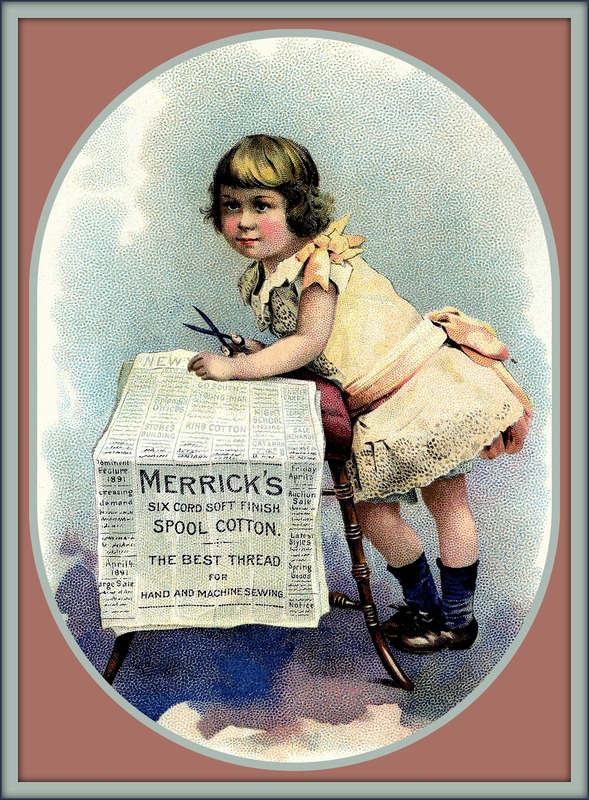 A Google Image search reveals a large number of Babbitt Soap trade card images on the internet. 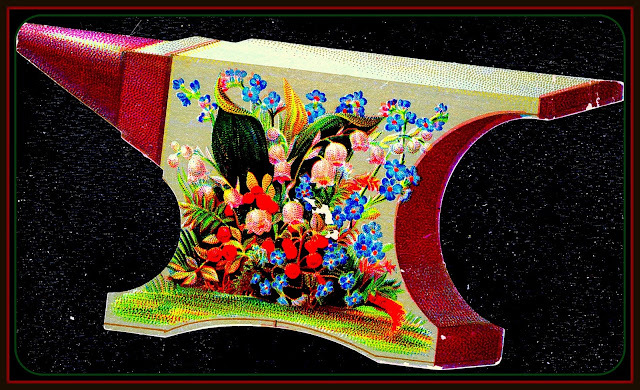 What kind of a business would feature an anvil in their advertising? 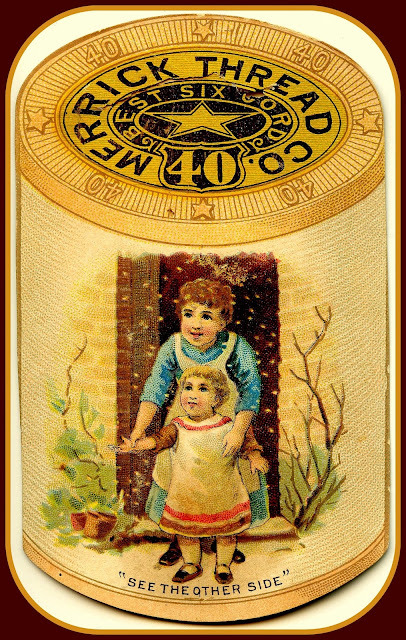 "Detroit Soap Co. QUEEN ANNE SOAP, The best family soap in the world"
Lots of weather we're having, aren't we! 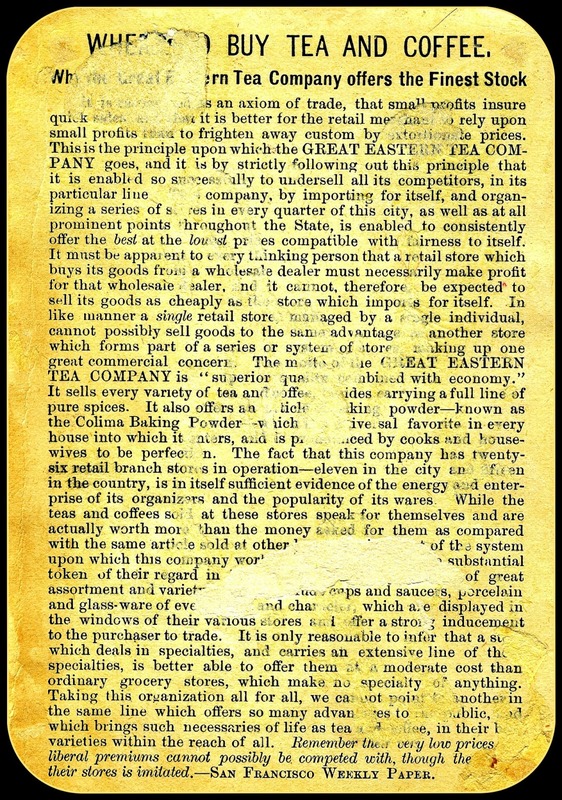 Hard to believe advertisers thought folks had time to read all this! 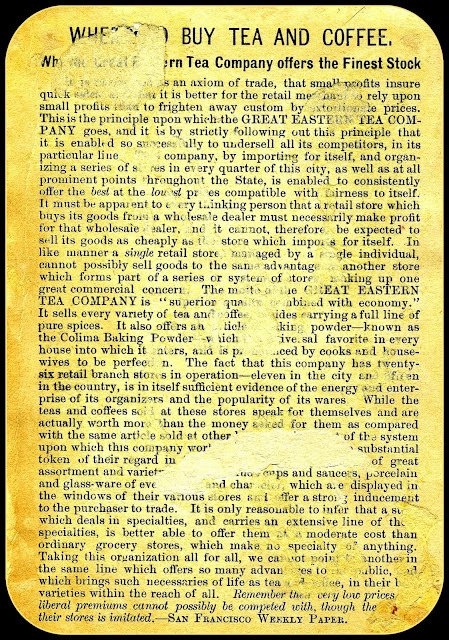 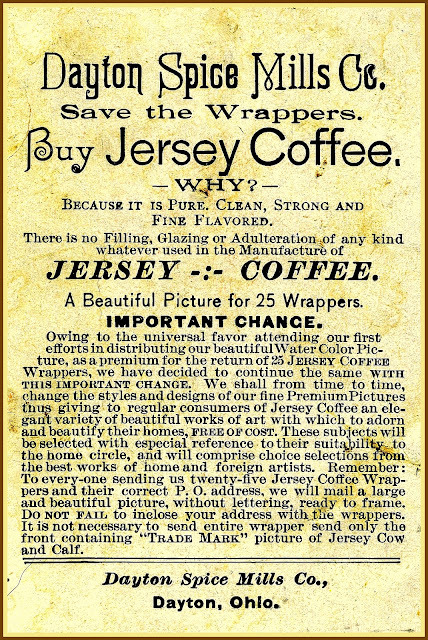 There was a good deal of competition in the coffee industry of the late 19th century. 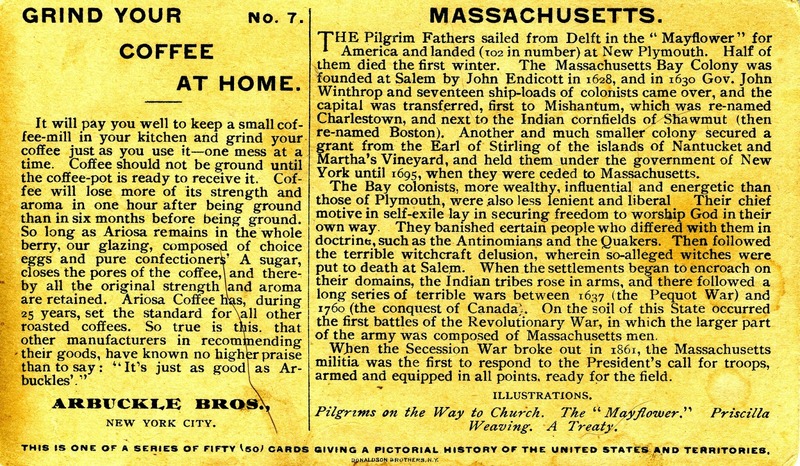 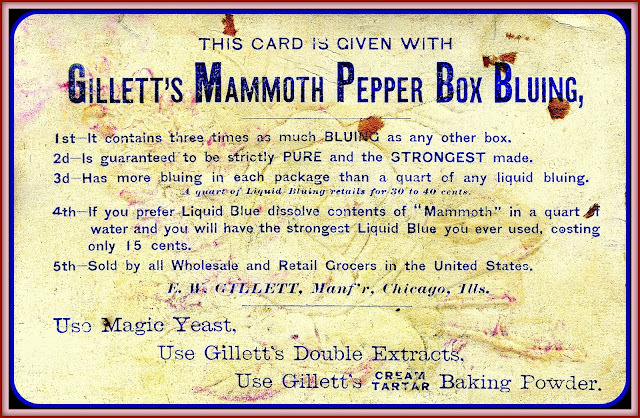 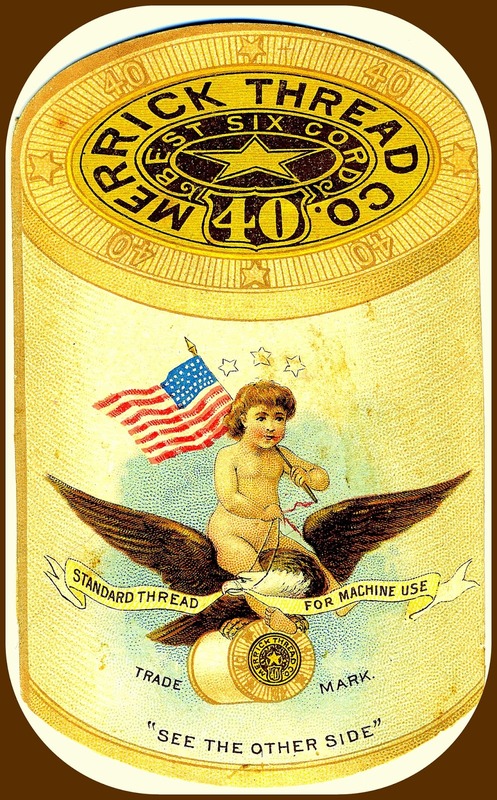 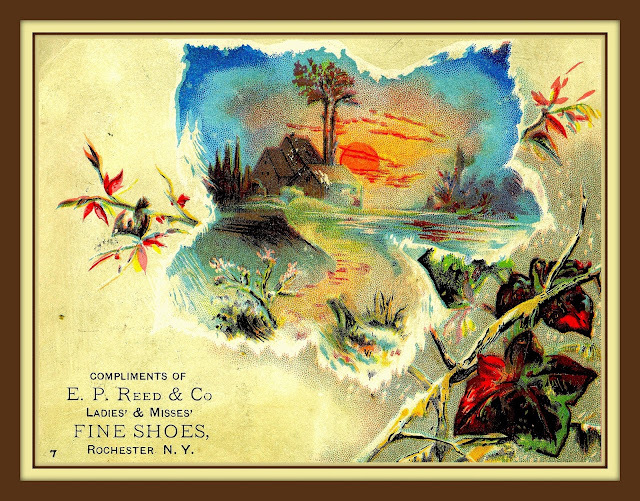 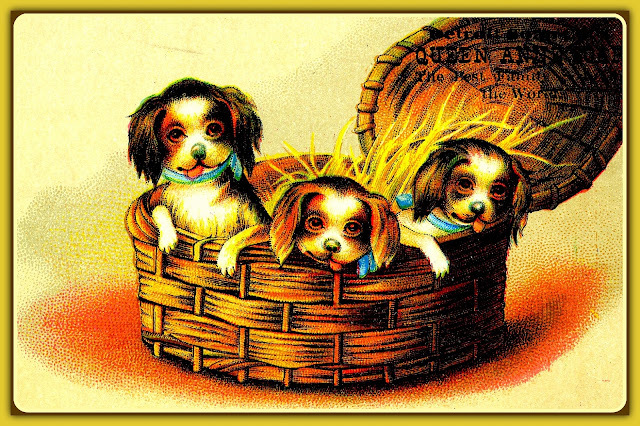 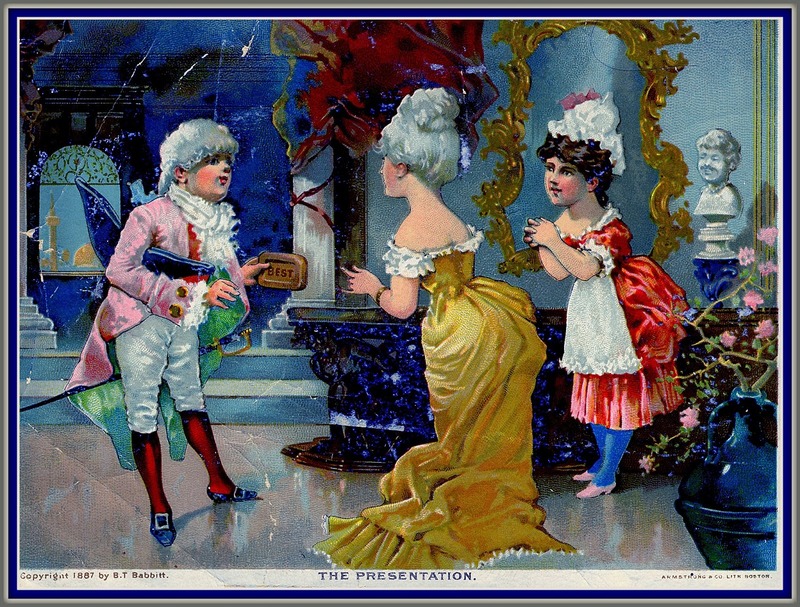 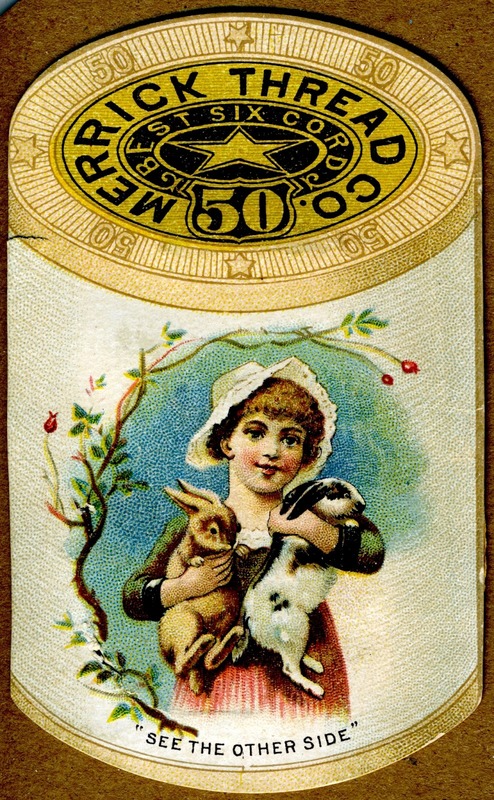 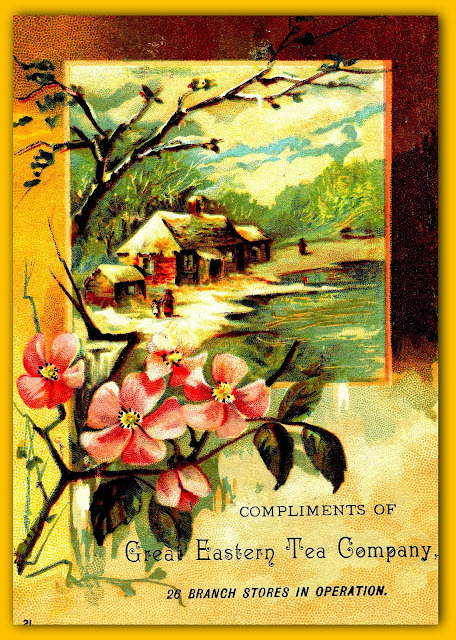 That's fortunate for us trade card fans, as colorful cards were usually enclosed in each package of coffee sold. 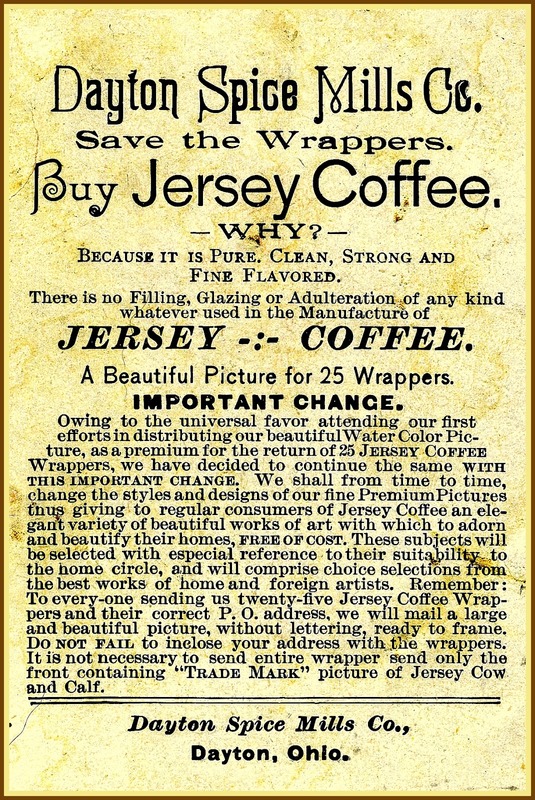 For 25 Jersey Coffee Wrappers, a large water color suitable for framing would be sent to your home. 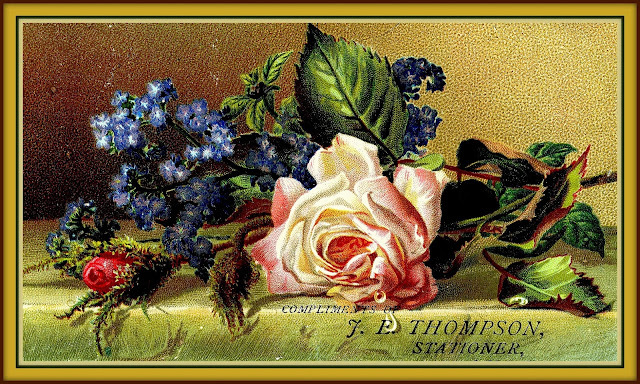 In 2016, all you need do is download the image and print it off, which you are encouraged to do on this site as all trade cards are in the public domain. 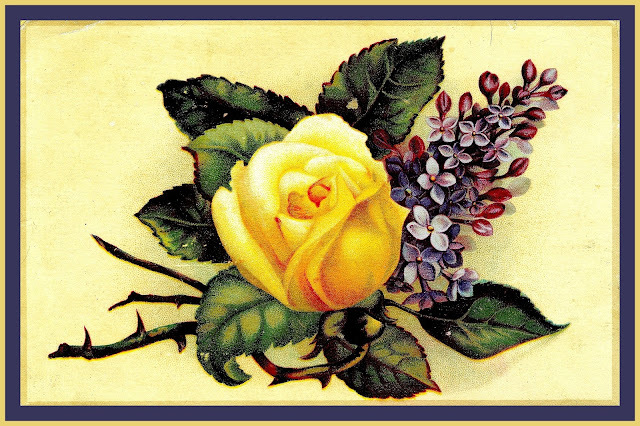 A little beauty for you without charge! 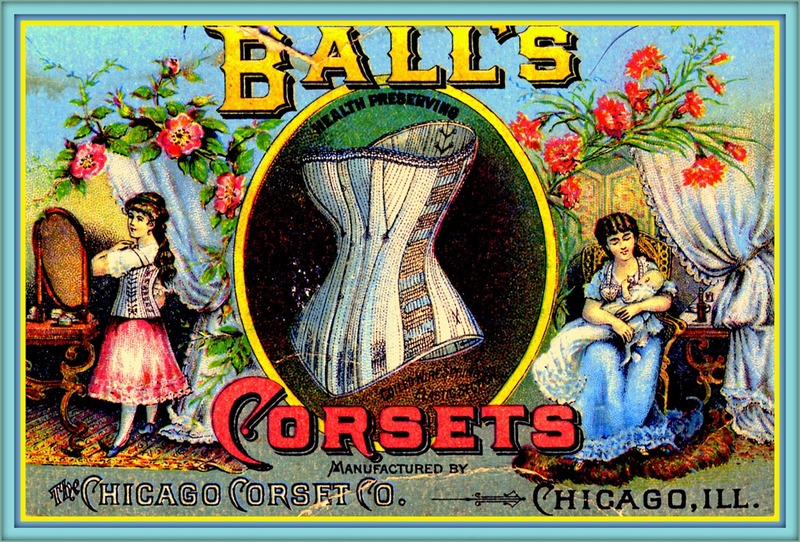 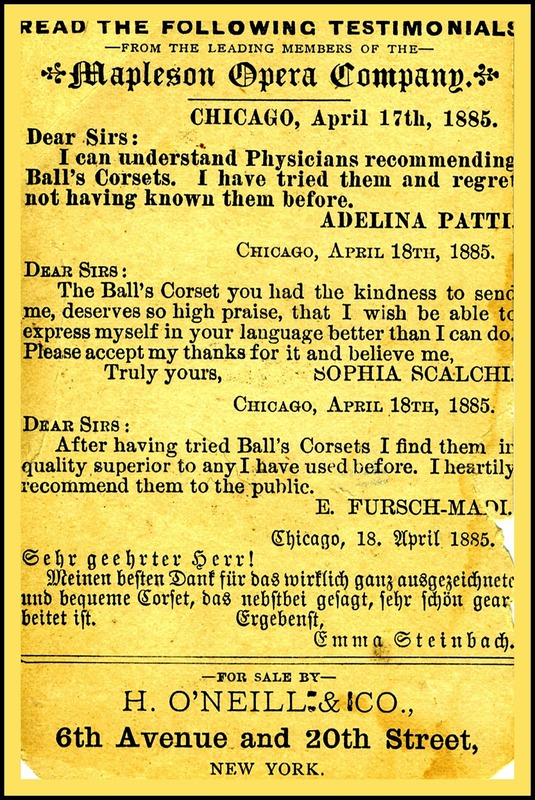 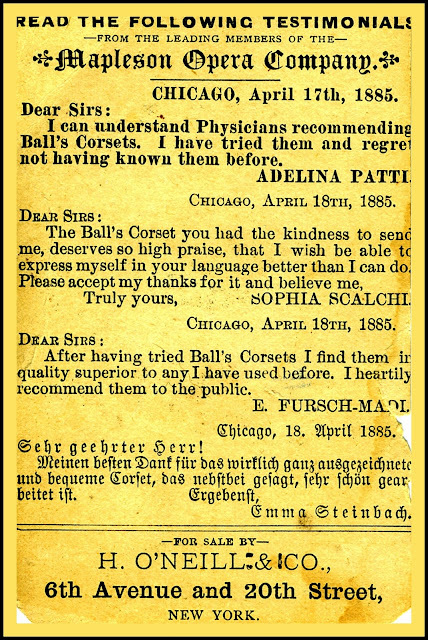 Despite these endorsements, corsets never became so popular that 19th century men found them to be an indispensable accessory.